We spend our lives looking for more choice. However when we actually receive an unlimited selection, it becomes really hard for us to be able to make a decision. So upholstered headboards – would you have one? How would you have it? What style would you have? There are so many upholstered headboards to choose from. Particularly now they are a bedroom trend for 2017. So here are the three ways of actually mounting a Furl headboard (or four if you count not choosing one at all). Most upholstered headboards come as integrated. This is usually because a bed is made as one piece and this is the easiest way to fix it. Butttt reverse…we never do things at Furl because they are easy. So what does an Integrated headboard really mean? It simply means that it is attached to the bed base. This completes the bed with a really sturdy headboard. We do know that you may want to move house in the future though, and so we attach our Integrated Headboards on sliding brackets so you can take it off again to move it. It isn’t attached forever! 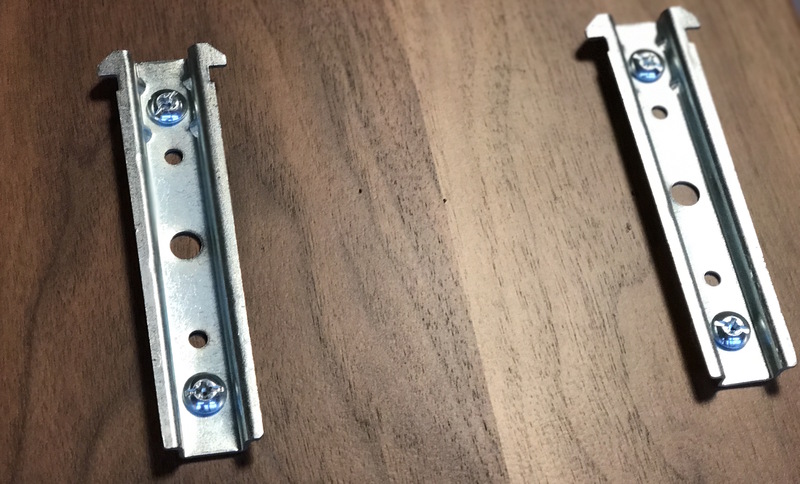 Our sliding fixing brackets makes it really easy to change or move your headboard in the future. Our standard Integrated height is 60cm. This is the average height above the top of the mattress, so the usable height you have to rest against. We picked 60cm as our average height as it is perfect for sitting up and reading, whilst still giving you neck and head support. The total height of the headboard from the floor is closer to 120cm. You might ask us what the point of having a non-integrated headboard is. So to tell you in no more than four of our favourite words, it is ‘the most space saving’ way of having a headboard. By not integrating it, you don’t add the depth of the headboard onto the overall length of the bed. So the non integrated headboard takes up no more space than the footprint of the bed. We mount our non integrated headboards on to the back of your bed using sticks. These sticks are no deeper than your skirting board, so they sit nicely against the wall. Keeping your bed pushed as far back as it can be of course. As the sticks rest against the wall, the headboard is still sturdy, so no need to worry about that. 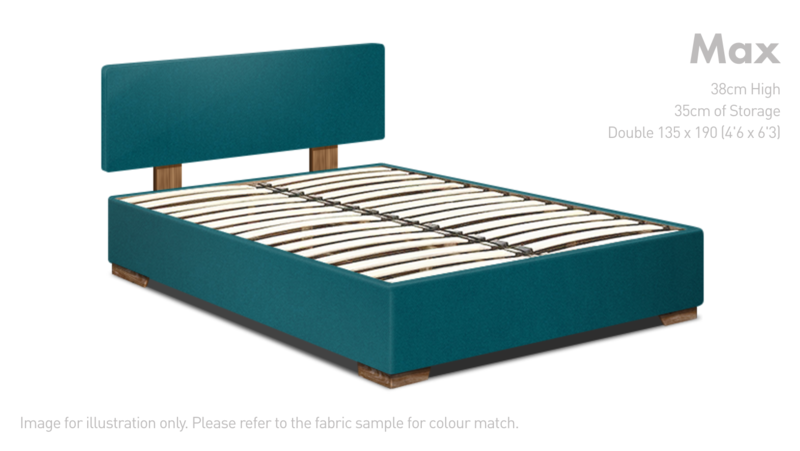 Our non integrated headboards come in two heights, the lower of which can be mounted to the bed of sticks. These typically range from 60cm to 73cm. Our wall mounted headboards visually look the same as our non-integrated headboards. In fact, every non integrated headboard can also be wall mounted. However, if you pick the higher headboard heights that we offer, then it has to be mounted to the wall. This is because there would be too much movement otherwise. Dangerous movement! Anything above 75cm above the mattress has to be mounted to the wall. Our standard higher heights range from 85cm to 105cm. But as we offer a bespoke service, you may have chosen to increase the height of another headboard. If the height of your bespoke headboard exceeds 75cm, it will still have to be wall mounted, even if it is integrated. We are very much about making your life as easy as possible at Furl. So if you simply aren’t ready for a headboard, or your bank account is screaming at you to stop, why not save it for later. A headboard can be added on to your Furl Storage Bed at any point. Whether that is 4 weeks after the bed arrives with you, a year or even five years later. So if the idea of upholstered headboards is yet to grow on you, save the idea for later. 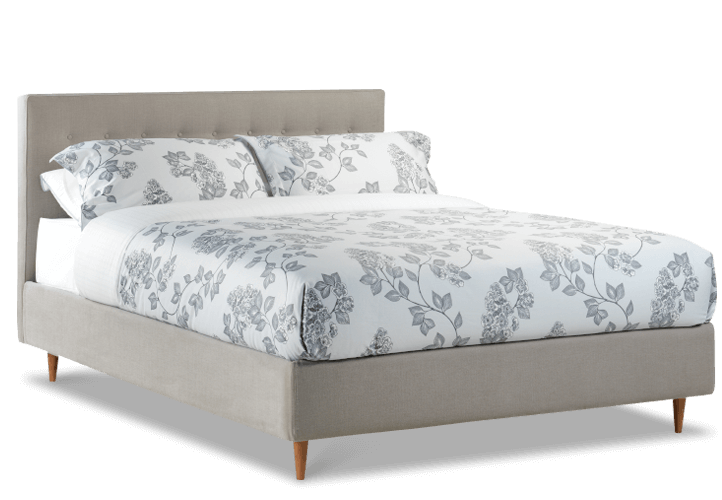 Any of our headboards can be attached to any bed bases, in any of the ways discussed above. So there is no need to rush. Could it get any easier than that? If you are still in need of a little more advice on headboards, pop down to our showroom, and one of our upholstered headboards experts can give you a helping hand. 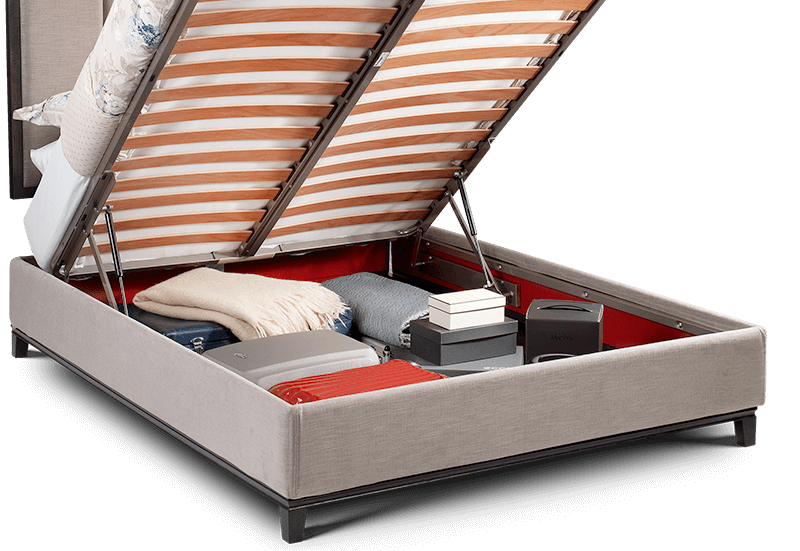 Previous Previous post: Storage Bed Experts are here to help you! Next Next post: A guide to our headboards – which headboard would you choose?